After his commitment to Northeastern, which you can read about here, we reached out to Shattuck-St. Mary’s forward Alex Mella about the process of his commitment and his growth while at Shattuck. Below is the transcript of our discussion, which occurred over Twitter direct message. 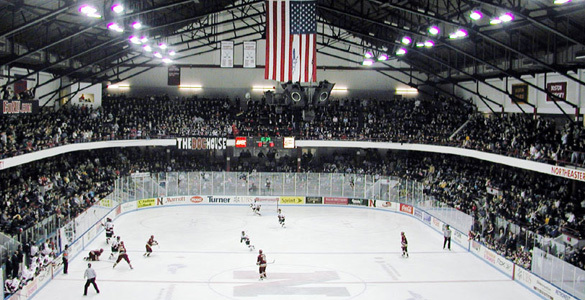 NUHB: Can you describe the type of game you play, and how you have grown while at Shattuck? Alex Mella: I would describe myself as a power forward with a shot. I like to use my speed to get into high scoring areas and protect the puck using my size. I love to shoot from anywhere in the offensive zone because I am confident in it, and even if it does not go in, tons of scoring chances are generated from rebounds. Being at Shattuck for four years now, I have grown as a person, student, and a hockey player. Without all my teachers and coaches here helping me along the way, I would never be in the position I am today. NUHB: What drew you to Northeastern? Mella: What drew me to commit to Northeastern is the history, coaches, and school’s location. 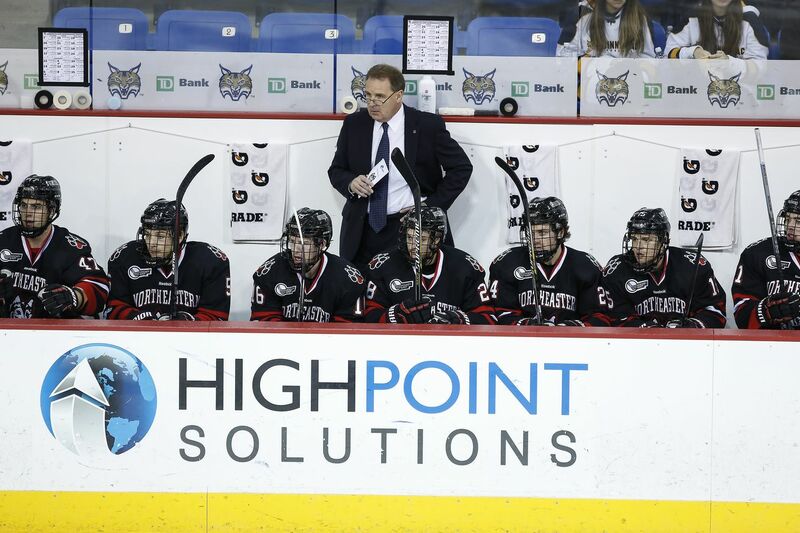 Northeastern has a prestigious academic and hockey history which is always an incentive, to respect those who came before you both in the classroom and on the ice. While talking to Coach Madigan and Keefe, they made me feel extremely comfortable and put a lot of confidence in me. Going to boarding school halfway across the country is tough, especially at a young age. It is exciting that Boston is close to my home, especially for my family and friends. NUHB: What goals do you have for yourself between now and when you enroll at Northeastern? Where will you be next season? Mella: My goals for next year is to continue to develop as a better person and hockey player. 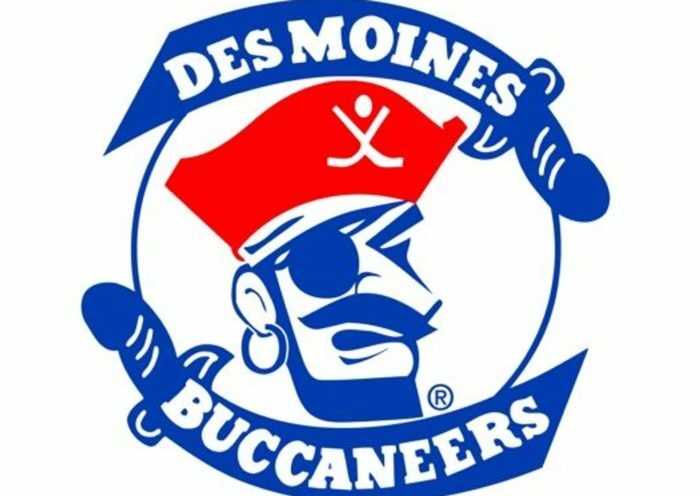 If all goes as planned, I will be playing with Green Bay in the USHL next year, helping them win a championship. I am super excited for my journey there before coming to Northeastern. I was extremely impressed with Alex’s responses and how thoughtful they were. 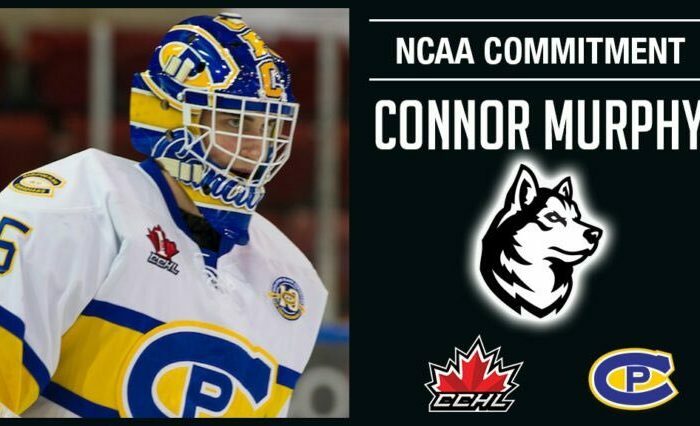 Clearly, the Huskies are getting a person who cares about his life off the ice as much as he cares about his life of off it. Alex seems to fit the mold of “student-athlete,” with student coming first and foremost, perfectly. He strikes me as someone who will be a perfect fit at Northeastern, someone who will represent the university with class and respect in more ways than one. Our interaction made me think back to the first time I met John Stevens, the captain of the 2016-17 squad, who recently signed an entry-level contract with the New York Islanders. As any Huskies fan will confirm, John was a tremendous person and leader both as a hockey player and a human being. Not a bad person to be compared to. As we previously reported, Alex will enroll at Northeastern in the Fall of 2018. We are excited to watch his development in Green Bay next season, and look forward to seeing him at Matthews Arena. Congratulations Alex!